Note: this functionality is built in to Pro 2.5.0+ and X 6.5.0+ with the new “Dynamic Content” features. This article is only relevant to previous versions. 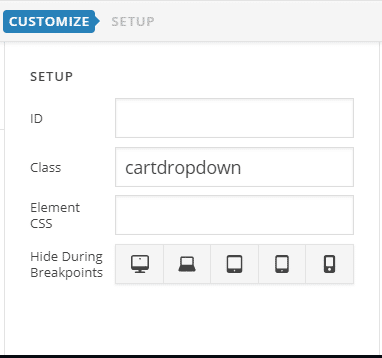 One request many Themeco users have is related to the cart elements in the header builder. That request is simple: “How can I show a cart count or cart total in the Pro element?”. This post will answer that question. To start this off, lets add a cart element to our header builder. Next you will need to enable the text setup for both primary and secondary text content. You will notice that I entered some default data in these boxes, and there’s a reason for that. 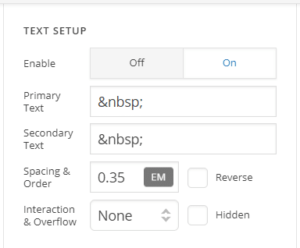 Pro theme will not render the HTML for these text fields unless something is typed in there. Now, you are free to enter anything you want, this will be the default “cart empty” text that is shown on the element. You can now target your text fields with a body.cart-has-items selector in front of it in order to show or hide the counts as you wish. I hope this has been helpful for some of you, good luck! Like what you see? Then get it in your inbox.